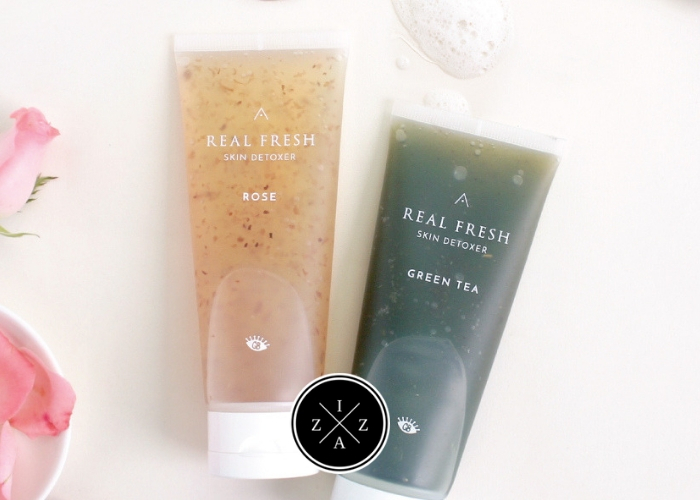 Today I’ll be sharing a quick post on Althea x Get It Beauty Real Fresh Skin Detoxers Collab Video. The 7-minute video shows Korea's famous beauty influencer Minsco and K-pop star Jeonghwa who's a member of EXID sharing different ways to use (and enjoy) the Althea x Get It Beauty Real Fresh Skin Detoxers. But first, a quick background on the brand and product. Althea Korea is a popular K-Beauty shopping site that ships internationally from Korea to the Philippines. The famous brands they carry includes Tony Moly, Etude House, The Face Shop, 3 Concept Eye, Laneige, Innisfree, Iope and more. Not only do they carry authentic Korean items but they also have a better price for each compared to other third party K-Beauty shops online. 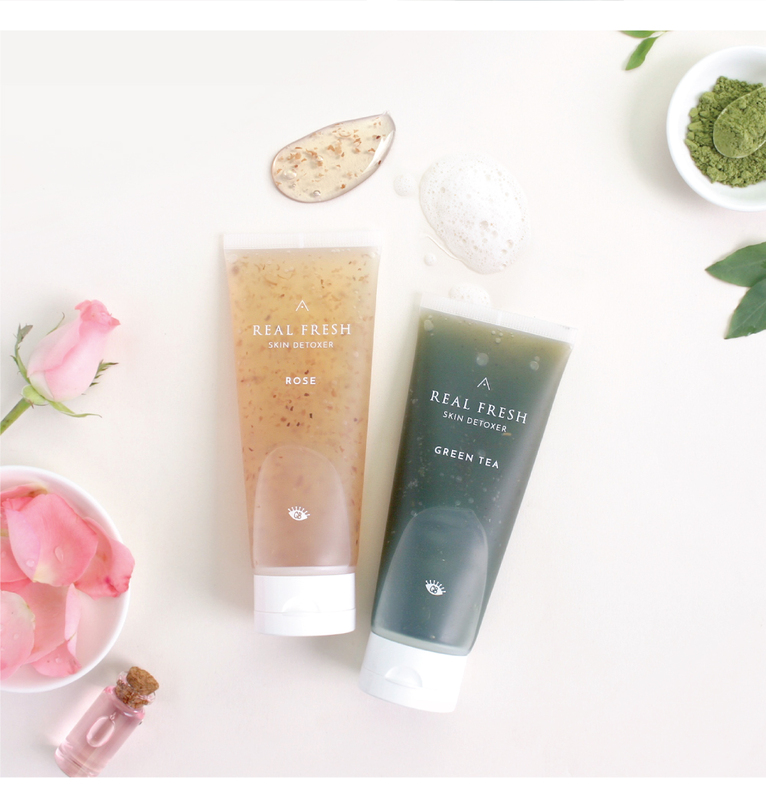 Recently, they launched their own exclusive products too such as the Real Fresh Skin Detoxers in collaboration with Get It Beauty. Are you familiar with Get It Beauty? Get It Beauty is a famous Korean variety show that talks about skincare products worth the hype and money. Sandara Park became a host of the show before. The Real Fresh Skin Detoxers is a 10-second, 2-in-1 cleanser pack collab product from Althea and Get It Beauty. It comes in two variants - Rose (Refining) and Green Tea (Purifying). Both showcases real, fresh ingredients that allows a deep, clarifying cleanse while boosting the skin with nutrients and goodness. The Refining Rose has skin-refining recipes made with roses to detox, gently smooth away roughness and give the skin a radiant glow. Purifying Green Tea, on the other hand, is a skin-purifying recipe made with green tea to detox, soothe and nourish sensitive skin. Sadly, the video has no english subtitle for now but you can definitely see how Minsco and Jeonghwa showed how versatile Skin Detoxers. Aside from the face, Jeonghwa used the Real Fresh Skin Detoxer Refining on her elbow. Minsco showed some face massages using the Real Fresh Skin Detoxer PurIfying. Ready to purchase your own Real Fresh Skin Detoxers? 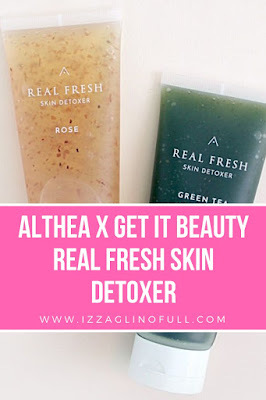 Here’s the link to the Althea x Get It Beauty Real Fresh Skin Detoxers Set. Also you can shop using my referral link to get 20% off your first purchase.